Once again we had a chance to demonstrate our latest technological development to the Oil & Gas industry in Australia. 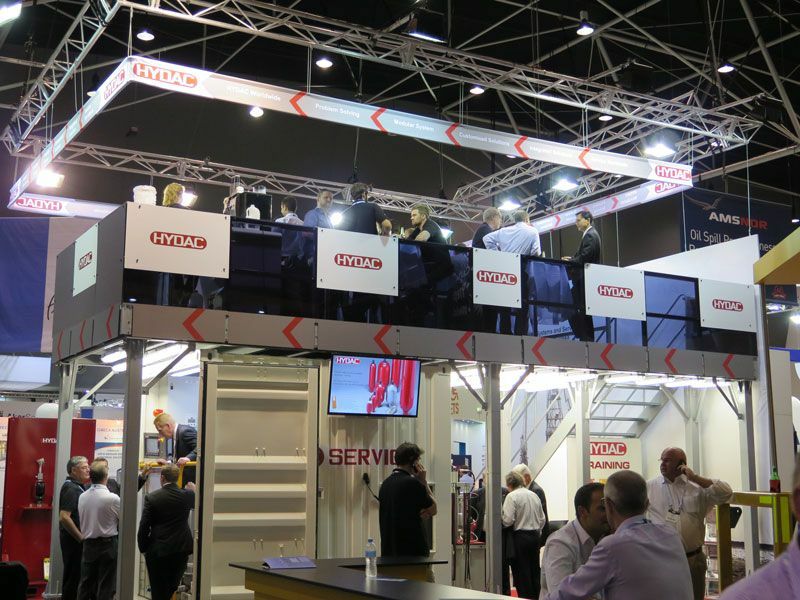 With an outstanding 54 sqm double storey stand, HYDAC showed its capabilities to thousand of people that attended the exhibition. This year, the focus was on Service and Training. In order to demonstrate that, HYDAC brought to the show a Training Rig and a Hydraulic Flushing Rig, both were eye-catching items and drove lots of attention. Hydraulic Flushing Rig is a system that makes the hydraulic fluid circulate at high speed. The fast flowing fluid carries the particles of dirt along with it to where they can be removed in a separate filter circuit. HYDAC also presented a brand new technology, a hydraulic accumulator with a Bladder Integrity System. This is a revolutionary new device designed to inform you if there is a problem in the bladder. Called Bladder Integrity System (BIS), it consists of a BIS bladder, BIS adapter and electronic components BIS 1000. HYDAC also released a brand new Oil & Gas Capability Statement, which will be available very soon for download on our website. The show was a success. We are looking forward to seeing you again at next year’s AOG.